Bridgestone manufacture long-lasting and high quality tyres for a wide variety of vehicle models, focusing on producing a great all-round tyre for any terrain, weather or performance requirement. Bridgestone endeavour to provide world class tyres through a combination of a smooth, comfortable drive with benefits such as increased safety and road grip when driving in wet-weather conditions, low rolling resistance and increased fuel economy. Tyresavers (UK) Ltd are a leading supplier of Bridgestone tyres across Essex. 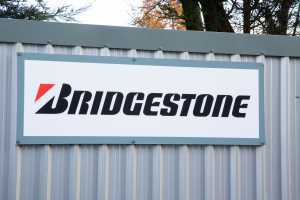 Our fitters are knowledgeable in the benefits and uses of Bridgestone tyres, so will be happy to advise you on the best tyre for your car. We also offer tyre alignment and four wheel laser tracking and balancing services to ensure our customers’ vehicles offer the smoothest and safest drive. To make an enquiry on the tyres we stock, or any of our other services, get in contact today, we’ll be happy to help.